Despite nasty weather for the last few days – I can take cold, even heavy rain, but I really hate wind – this was my best February ever for cycling. The main theme for the month was lots of exploring of new routes, trails, and paths. I have a much better feel for the options at our new house. 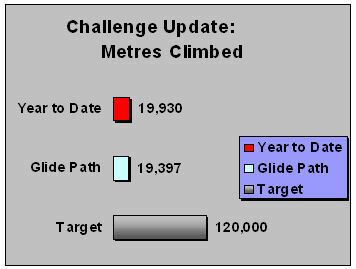 The challenge continues to be great motivation and helped me improve on my shameful, rideless February last year.